As Americans, we believe in justice for all. Yet we fail to live up to this promise when we allow older members of our society to be abused or neglected. Older people are vital, contributing members of American society and their maltreatment diminishes all of us. 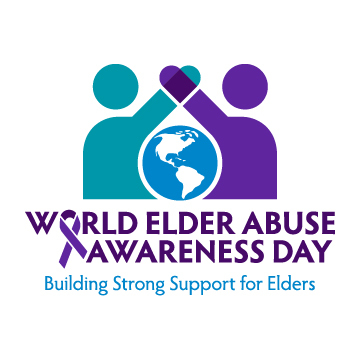 Just as we have confronted and addressed the social issues of child abuse and domestic violence, so too can we find solutions to address issues like elder abuse, which also threatens the well-being of our community. Our policies and practices make it hard for older people to stay involved with and connected to our communities as they age. As a result, older people are more likely to experience social isolation, which increases the likelihood of abuse and neglect. We can design stronger societal supports to keep our older people connected and protect them from abuse, whether financial, emotional, physical or sexual. When we address a root cause, like social isolation, we also make it less likely that people will neglect themselves (self-neglect). Older adults who are socially connected and protected from harm are less likely to be hospitalized, less likely to go into nursing homes and less likely to die. We can and must create healthier and safer living environments for older adults, including their homes, nursing homes, and assisted living facilities. • It is up to everyone to prevent and address elder abuse. Talk about it – to your leaders, and to your neighbors. – Advocate for elder abuse prevention and intervention programs. – Raise public awareness by conducting presentations and distributing materials about elder abuse at senior centers, places of worship, physician offices, etc. – Get involved with the Long-Term Care Ombudsman program in your state, working to resolve problems related to the health, safety, welfare and rights of persons who live in long-term care facilities (e.g., nursing homes, assisted living). Get more information about how to make a difference by visiting the National Center on Elder Abuse or by calling the Eldercare Locator at 1-800-677-1116.